VFX shot. Shot on the streets of New York with a Nikon D5200 and P&C PR-1 shoulder rig. Two HDRIs captured on site - one from the camera position, and one from the street at the back of the shot. HDRIs stitched in PTGui. 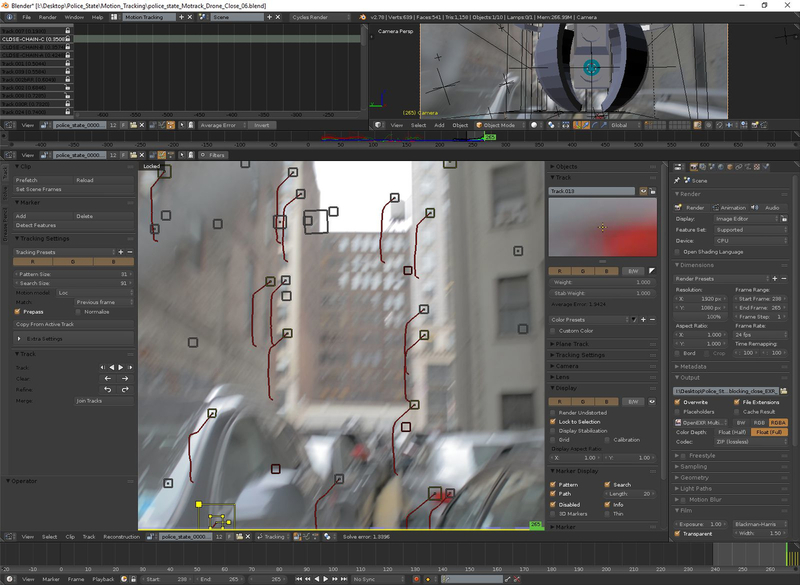 Motion tracking and modeling in Blender. CG rendering in Blender Cycles. Camera flares using the GLFlares addon. Composited in Nuke, finished in DaVinci Resolve. The entire project followed a scene-referred workflow. For more detailed background on the project, be sure to check out my blog. Many thanks to Troy Sobotka for his incredible guidance on scene-referred workflow and for creating a custom color transform for my footage. Additional thanks to Andreas Russo for bringing this to life with his amazing contribution as sound designer.